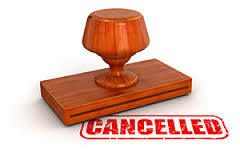 When talking about doing a timeshare cancellation, timeshare resales always come up. Paying For Timeshare Resales ??? DON’T DO IT! – Please . . . I Say Again . . . DON’T DO IT! One of the hardest things for people who have purchased a timeshare and now want to do a timeshare cancellation is to come to the realization and understanding that what they initially thought when they first purchased the timeshare, that it was a solid investment and that it could be sold at a profit when they were ready to get out of it. Now to find out sometimes months or even years later, that what they were told in the timeshare sales presentation, is not true and is even a timeshare scam. I must tell you, that a timeshare is worthless when it comes to trying to resell it. People have wised up over the years that timeshare has been around and no one wants to buy someone else’s worthless debt. Really when it comes to resale, that’s all that timeshare is . . . worthless debt, no one will buy someone’s debt. If you own a timeshare, when you bought into the whole timeshare concept and were told that it was like owning a second home, well, really the only second home part of it is, the mortgage. But still, people hope. Why? Because that is what they were told in the timeshare presentation. That timeshare is real estate. And when they heard that, they though good investment. That’s one of the reasons that the timeshare resale scams came into being. People wanted out of their timeshare and so bad that they paid to list it with what they thought was a timeshare resale company only to find out over time, that it was just another one of those timeshare scams. Meanwhile, the timeshare payments went on and on along with maintenance fees and any assessments that were levied to the timeshare owner’s timeshare account. So please again we say: Never pay to do timeshare resales, DON’T DO IT! If you still think your timeshare is worth something, because the nice timeshare salesperson who sold it to you said it would be, then we ask you to please take your contract and go to the bank to get a loan using it as collateral. Just be aware, that the banker’s laughter might follow you back out the door. You can also go on the internet to EBay and check out for yourself how many others are trying to practically give their timeshares away just to get out for under the burden of it. We really feel for the people who have gotten themselves into this trap of listing their timeshare for sale. do yourself a big favor and stay away from these timeshare scams. It’s easy to buy timeshare but it’s hard to get out of a timeshare! Many timeshare attorneys and timeshare users group don’t know how to sell a timeshare or how to get out of a timeshare by doing a timeshare cancellation. To be sure you get a resort authorised timeshare cancellation letter, always get professional timeshare exit help. 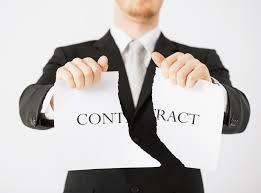 Our timeshare exit team members will 100% guaranteed, you will get an authorised timeshare cancellation. If yo u already own a timeshare and feel you have been involved in a timeshare scam and/or would like to know how to cancel timeshare our timeshare exit team can help you. To learn more about a timeshare cancellation visit our website and see our frequently asked questions or just give us a phone call.